Should Spanish shoes be that one thing you bring back from Spain? 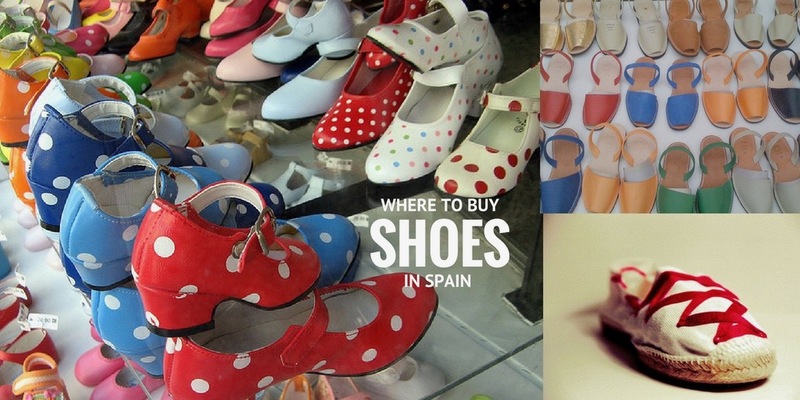 1 Where to Buy the Best Shoes in Spain? 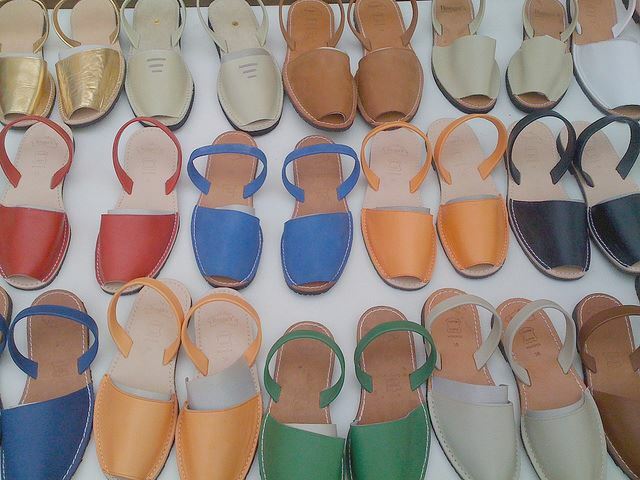 Many of the Spanish shoe producers are located in the east coast in Alicante and the Balearic Islands. And that’s where you’ll find a number of outlet stores, for example at Elche you’ll see some of the exclusive brands. But wherever you are, you’ll be able to pick up a pair of ‘made in Spain’s whether that’s at an outdoor market or an exclusive store. And if you are flying into Madrid or Barcelona airports, some of the terminals even have a pretty good range of footwear. 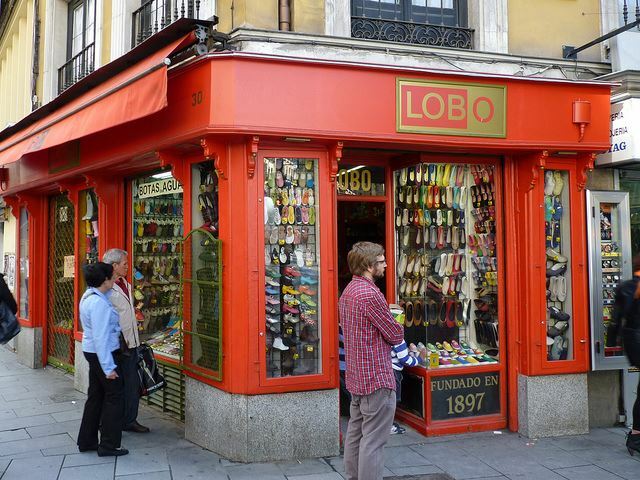 Curious about the type of shoes should you be trying on in Spain? Read on! One of the most iconic shoe designs is the espadrille which is called alpargata or espardenya in Spain. Great for hot days. Castaner is one of the more popular brands and the history of the company is a colourful as its range of shoes. The first Castaner workshop dates back to 1776 – although the present day company was only founded in 1927. During the Spanish Civil War, the company was nationalised because soldiers were sent to the front wearing espadrilles. 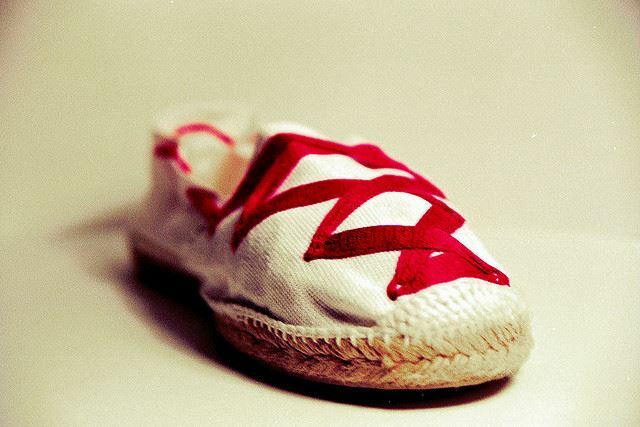 When the Castaner family met Yves San Laurent in the 1960s in Paris, the first wedge espadrille was commissioned. Since then, Grace Kelly, Jacqueline Kennedy and Salvador Dali (not the wedge heel – we think!) have worn this shoe. If you are looking for international designs with Spanish execution, you have plenty to choose from. Check out the Japanese/Brasilian designer Chie Mihara who makes her shoes in Elda (Alicante) where she also has an outlet store. She’s got quite a cult following. If you are looking to namedrop when wearing your new Spanish shoes, you should probably look at Stuart Weitzman‘s work. He lives and works in the US but makes his shoes here in Spain. His 2014 fashion shoot was photographed by Mario Testino and the model was Kate Moss. His clients include Michelle Obama and well, almost everybody who’s walked down a red carpet. The country’s most acclaimed footwear designer is Manolo Blahnik. You can probably get more of his range in London and NY than you can in Spain, but he does have a store on Calle Serrano in Madrid and in the Mandarin Oriental in Barcelona. Pretty high up on the name-dropping scale of things is the Pura Lopez brand based in Elche (Alicante). As with so many of these designers, Pura comes from a shoe making dynasty. Her shoes are seen on the feet of most Spanish models and Spanish royalty too. Perfect for special occasions. Her stores are in Rome and Paris but you’ll find her footwear in Spain in independent retailers and of course, online. Others brands that eschew artisan are Pedro Garcia, Lotusse, Rebeca Sanver and Pons Quintana – we like their video on the weaving or braiding of shoes. Another popular brand that is extremely easy to pick up anywhere in the country is Panama Jack – a rugged leather hard-wearing boot that is handmade in Spain. Great for walking and mucking about when you don’t want to wear a hiking boot. Its stores are in Madrid, Barcelona, Oviedo, La Coruna – and it has four outlet stores including Elche (Alicante). Another great rustic design is the campero boot. It’s another classic – and is made in Valverde del Camino in Huelva. The boot is such an integral part of this community that the town hall has commissioned a 3m high sculpture of the boot at the entrance to the town. See how one of the larger producers in the town makes its ‘boto campero’. The video commentary is in Spanish but you can make out the process even if you don’t understand the audio. You can buy these boots online from the makers and in the more specialist sports and equestrian stores in Spain. Unfortunately the best known Spanish brand abroad- Camper – currently doesn’t produce its shoes in Spain but its funky designs are very Spanish indeed. The company can trace its roots back to 1877 but in 1975 it was renamed Camper, meaning peasant or rustic. The company has developed a successful hotel and restaurant in Barcelona and Berlin. If you are looking for something fun and comfortable, then Camper is a good option and you can find Camper stores and franchises in every city in Spain. You probably know that shoe exports are big business for Spain. But did you know that Spain’s European neighbours are its biggest customers – first France (one quarter of all Spanish exports go to France! ), then Italy, Germany, Portugal and the UK. The sixth-largest importer is the US. And you will have read that the east of the country is where most of the production happens. 48 percent, that’s almost half, of all the shoes exported from Spain are made in the Valencia area, La Rioja is the next largest exporter, then Castilla-la Mancha and the Balearic Islands. 9 Want to make shoes an important part of your trip to Spain? If you want to visit the Spanish foothold of footwear you should go east. 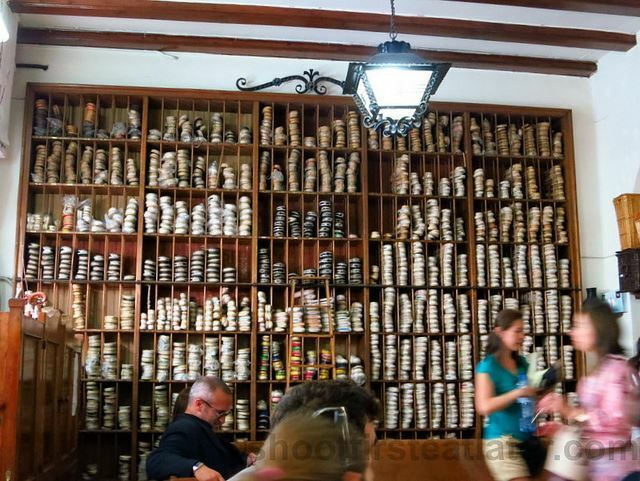 We highly recommend you visit the Museo del Calzado (Shoe Museum) in Elda (Alicante) which documents and displays the history of shoe-making in the town back to the 16th century. 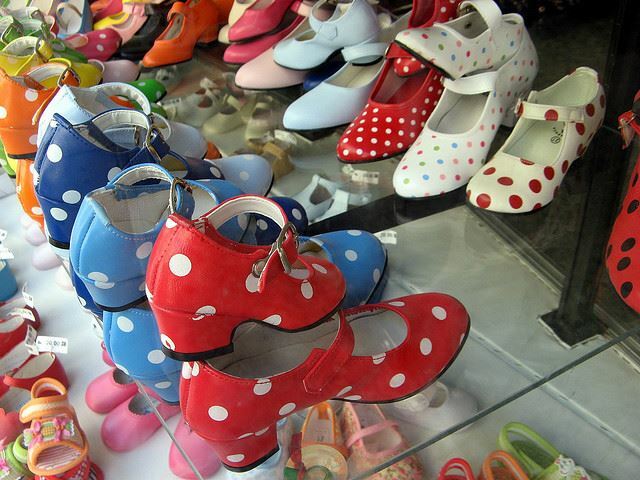 It is home to 2,311 shoes – of which 1,050 are on show. Shoe-designing courses are run from the museum. And you can see which public figure wins the annual prize for the best shoes. If you’re in Madrid, you should also stop by the Museo del Traje (Clothes/Textile Museum) in Madrid which has a number of interesting vintage footwear exhibits. And if you are travelling with a group and can’t deviate much from a tight schedule – we can always recommend a few interesting shoe shops in the towns and cities you are visiting. Check out our thoughts on What to Pack for Spain, Shopping in Spain, and the Best Gifts from Spain. Posted in Andalucia, Barcelona, Castilla la Mancha, Dalí, Insider Spain Guides, La Rioja, Madrid, Museums & Galleries, Popular Posts, Shopping, Useful Information, Valencia and tagged abarcas, artisan, boots, boto campero, Camper, campero, Castaner, Chie Mihara, Elche, Elda, espadrille, flamenco, heels, Huelva, LK Bennett, Madrid, Manolo Blatnik, Museo del Calzado, Museo del Traje, outlets, Panama-Jack, Pons Quintana, Pura Lopez, sandals, Spanish shoes, Stuart Weitzman, Vialis.